This spider web was attached to one of the towers at Hyakuri. 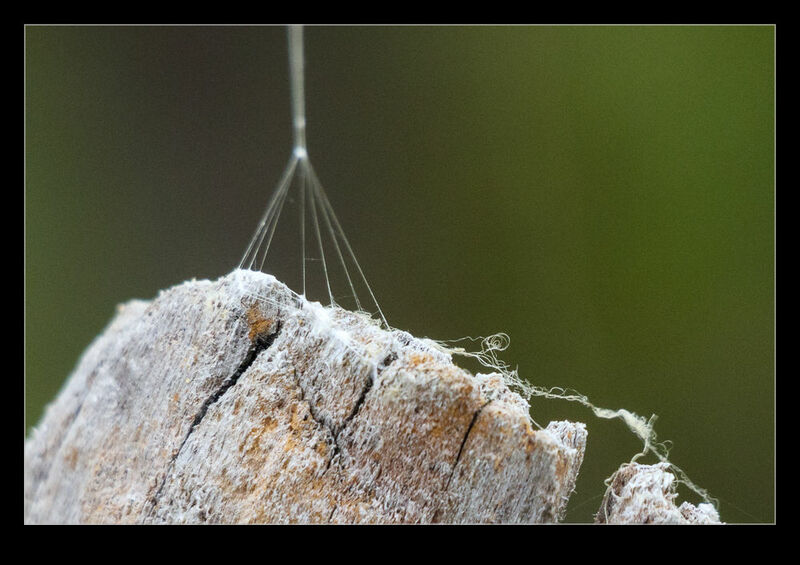 The web thread was quite a heavy gauge compared to what I normally see and I was fascinated by the way it was attached to the wood. Multiple strands were attached in a ring forming a cone of thread that merged in to the mainline. It was quite a feat of engineering. This entry was posted in photo, Travel, wildlife and tagged arachnid, gossamer, hyakuri, ibaraki, Japan, nature, photo, Spider, web, wildlife. Bookmark the permalink.